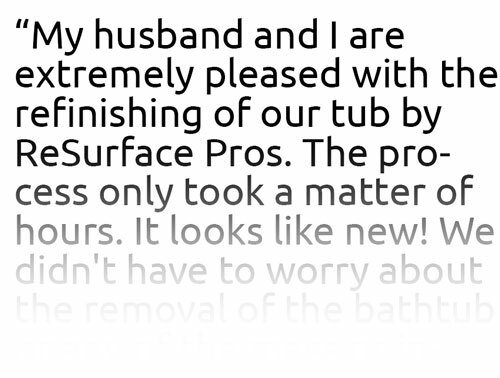 "I was so frustrated with the other refinisher I had scheduled to refinish my bathtub. I took a day off work and he didn’t show up, no phone call nothing. When I called him two hours after his scheduled time he said that his plans changed and we would have to reschedule. Instead I called ReSurface Pros. When I talked to Jim I sensed that he would be more trustworthy. I decided to give ReSurface Pros a try. Jim called the night before to confirm and was 10 minutes early. Everything he promised, he delivered. He did a great job on my tub. Thanks Jim!!" 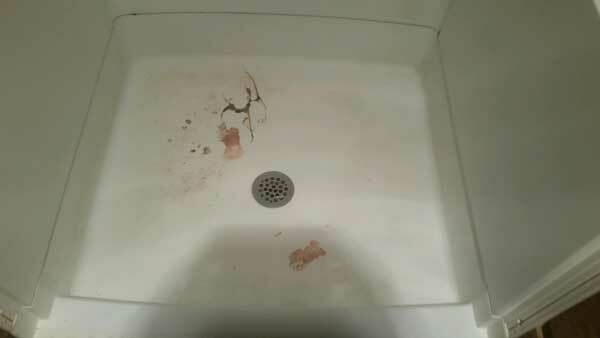 "I found a really low price for having my bathtub refinished. I was so proud of myself. Unfortunately, after just a few weeks the tub began to peel. The man came back and touched it up. But it really didn’t help. Within one year about 40% had peeled off of my tub. I did not want the first guy back again. That’s when I called Jim at ReSurface Pros. Jim stripped off the old finish and started from scratch. He did a great job. It cost a bit more but saved me so many headaches. I would recommend ReSurface Pros to anyone." 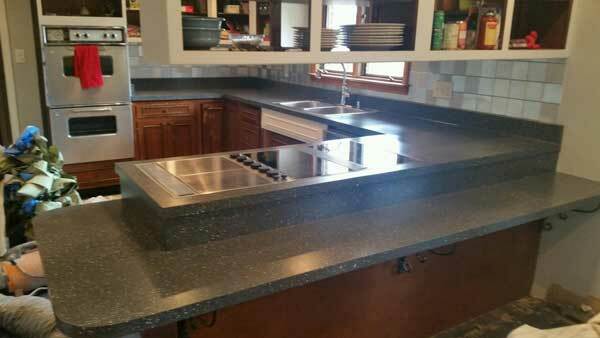 Jim LeMieux, owner of ReSurface Pros offer a different type of bathroom and kitchen remodeling. ReSurface Pros can refinish existing fixtures at a cost 50% – 80% less than replacing them. 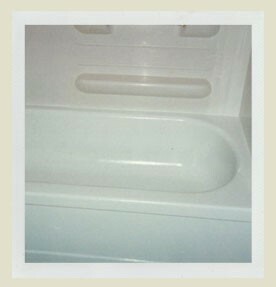 ReSurface Pros can change your worn white or 70´s colored tub to shiny white or color match to existing fixtures such as a toilet, sink or a swatch from your curtains. Often referred to as resurfacing, refinishing or reglazing, resurfacing is recommended by many including the popular TV show “This Old House” which says, “refinishing is an effective and inexpensive solution for porcelain that is chipped, worn, rough, or whose color has simply gone out of style.” They can make an antique fixture look brand new. HGTV, Martha Stewart and Flip This House often showcase the glamorous results of refinishing on an affordable budget. Often older bathtubs (cast iron, steel, fiberglass) ceramic tile, cabinets, and countertops are made of high quality material. It´s a shame to throw them away in a landfill only to replace them with costly replacements of lesser quality. 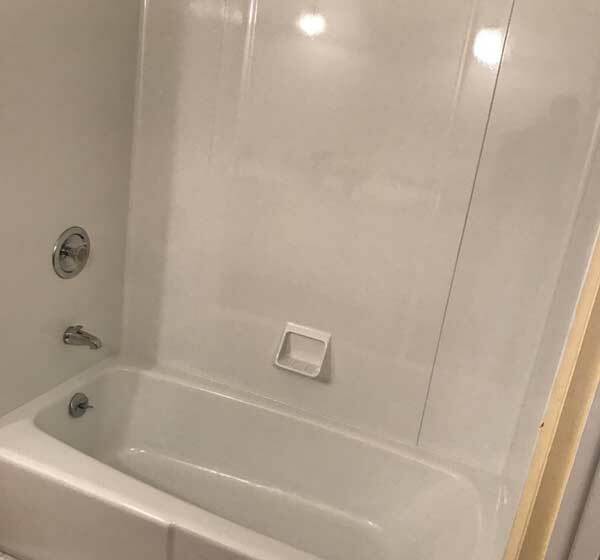 Most people would have a hard time telling the difference between a brand new tub and a tub resurfaced by ReSurface Pros. Also. The smooth, glossy finish is much easier to keep clean after being refinished. This is especially true of ceramic tile since the grout lines become permanently sealed during resurfacing which significantly reduces problems caused by mold, mildew and hard water. It also prolongs the life of the grout. Although resurfacing has been around for more than 30 years, many people are still unaware that this remodeling option is available. People are amazed at the results of a refinished bathroom or kitchen. In most cases ReSurface Pros can transform a room, making it look brand new with little inconvenience to the customer in less than one day. Owner Jim LeMieux does ALL of the work himself assuring quality and service. He is adamant about never hiring anyone. This is his way of making sure that the job is done right each and every time. 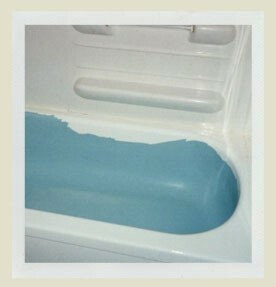 Don't let this happen to you, an original blue tub refinished in white with inferior materials and shoddy craftsmenship, peeling in less than 1 year. Jim has resurfaced thousands of tubs, as well as numerous tile walls, cabinets and countertops since opening ReSurface Pros in 1998. His work is a mix between residential homes, rental units, and hotels such as Double Tree Hilton, Holiday Inn Express and Super 8.